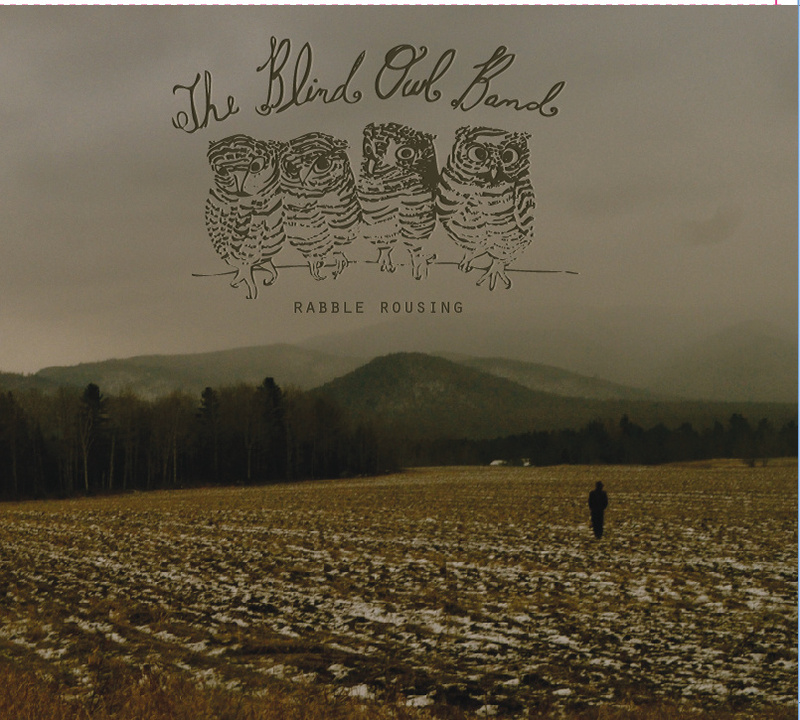 A band for less than two years with one independently-released album already bearing their name, The Blind Owl Band have recorded the follow up to their 2012 debut, Rabble Rousing. Hailing from Saranac Lake in New York State’s Adirondack region, The Blind Owl Band have created their own blend of mountain music, music that is more often associated with Appalachia. But don’t call what they play bluegrass. I like to think of it as a hyperkinetic strain of traditional American music. Perhaps with a little punk thrown in for good measure. Set for release on 10 July, The Blind Owl Band’s second album is being funded through Kickstarter. To help in their fundraising efforts, the band has offered up Rabble Rousing as a free download on their Bandcamp page. The band will be touring throughout the duration of their Kickstarter campaign (16-26 May), playing a show a day. Check here for dates and locations. Stream and download Rabble Rousing below. If you like what you hear, let Arthur, Christian, James and Eric know by donating to their campaign.